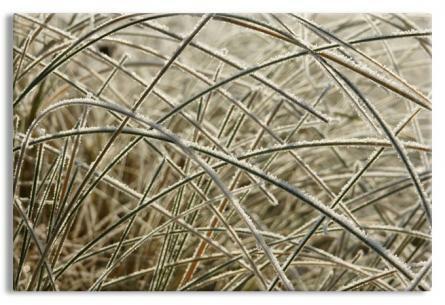 Ammophila arenaria is a species of grass commonly known as European Marram Grass and European Beach grass. It is native to the coastlines of Europe and North Africa where it grows in the sands of beach dunes. 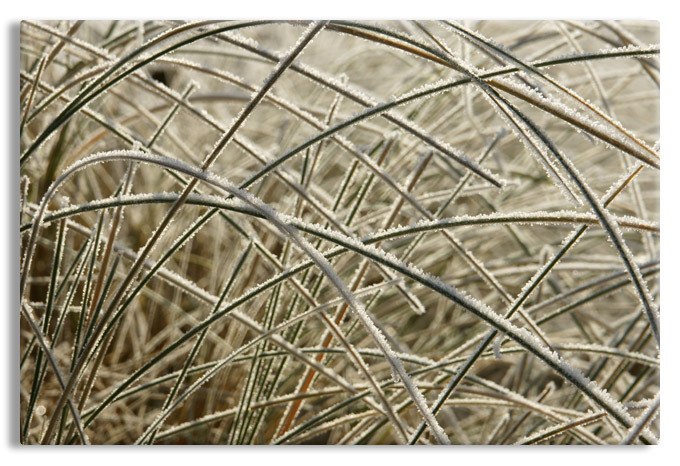 It is shown here with a delicate coating of frost. This canvas gallery wrap makes an excellent decoration for contemporary decor.